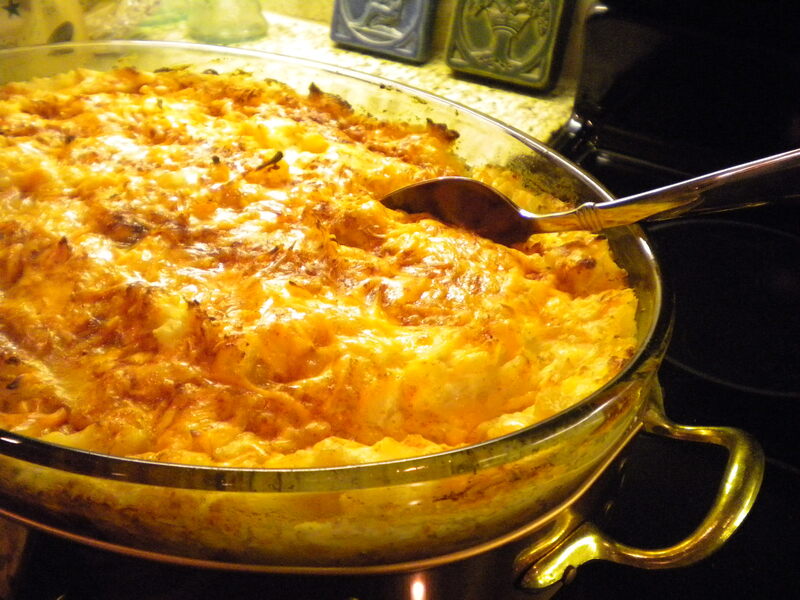 If I had to pick one recipe that was our family specialty, I would have to pick cheesy potatoes. Nothing says comfort food and home like this creamy, cheesy hash brown casserole. It used to be that we would only get them on Christmas… that was until I finally figured out the recipe! I may have to do more double-workouts over the course of the year, but it’s so worth it. They are amazing. Combine all ingredients, mixing well. Place mixture in a greased 13 x9 baking pan. Sprinkle Parmesan and cheddar on top as well. Bake covered at 350 degrees for one hour. Uncover for about 15 minutes until the top begins to brown. Serve warm. I was thinking about making this recipe for Christmas Eve and I am wondering what you served with it. The photo looks nice but I can not tell what the other dishes are that are displayed on the table. I apologize for the delay! We usually serve the cheesy potatoes with beef tenderloin, grilled veggies, and caesar salad. It’s a perfect combo – it’s our Christmas Eve menu every year!